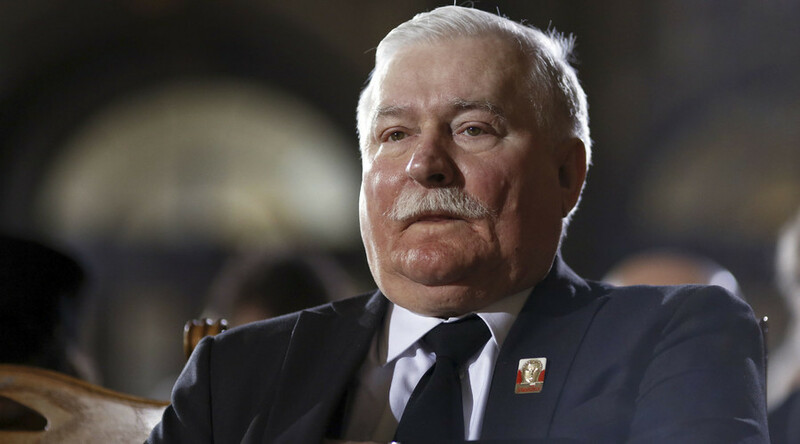 Poland’s former president and democracy icon Lech Walesa said he would not hesitate to “knock off the wing” of Russian jets if he were in charge of the US destroyer Donald Cook. 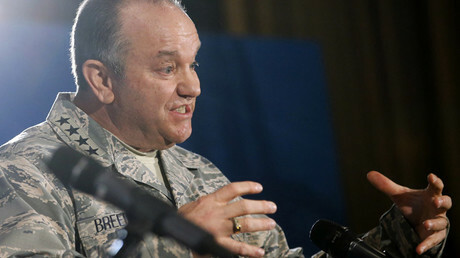 “If I were the commander of this ship, if these [Russian] planes were flying I would shoot them. But not to kill. I would knock off the wing,” the Nobel Peace Prize recipient of 1983 told Radio Free Europe. The interview, published Saturday, comes ahead of a NATO summit in Warsaw scheduled for July 8-9 and right after Moscow mended ties with Ankara after seven months of discord over Russia’s downed jet. Walesa argued that actual warfare is too costly an enterprise to be waged by Russia, who he says “cannot afford a conflict” as “it is terribly expensive.” Moscow’s weapon would rather be “scare and blackmail,” he added. The incident with the USS Donald Cook occurred during the joint US-Poland military drills in the Baltic Sea in mid-April, as the allies were rehearsing the landing of a Polish helicopter on the ship’s deck some 70 kilometers from a Russian naval base. Relations between US-led NATO and Russia have been strained recently, which has resulted not only in the increased number of drills in Eastern Europe and Russia’s western border, but also led to other incidents. 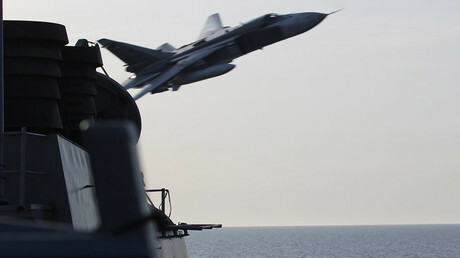 The latest occurred when the US guided-missile destroyer Gravely was sailing just 180 meters (590 feet) from the Russian frigate Yaroslav Mydry in the Eastern Mediterranean on June 17. “The US sailors, in particular, neglected Rule 13, which stipulates that an overtaking vessel must keep out of the way of the vessel being overtaken,” Russia’s Defense Ministry said in a statement. Still, the issue of air traffic security over the Baltic sea was raised during a meeting between President Vladimir Putin and Finnish President Sauli Niinisto. Following the talks, Russia announced it was ready to switch on the identification transponders of its planes flying over the area – but only if NATO reciprocates. 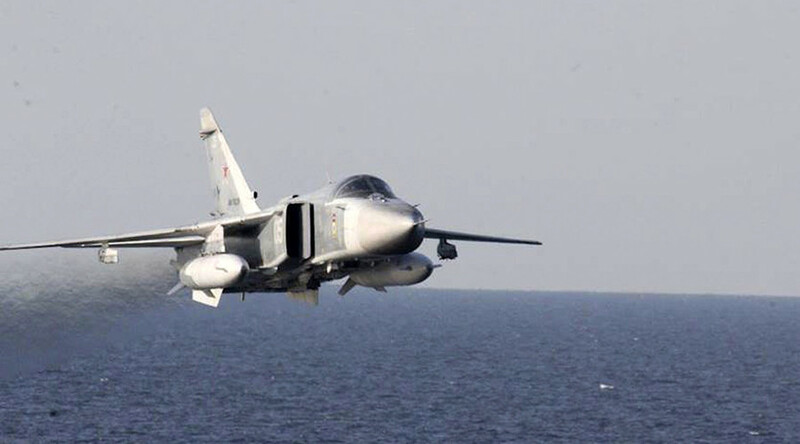 Russia’s president also stressed that the number of NATO planes flying with transponders turned off far exceeds the number of Russian jets doing the same in the area, saying it is twice as high. “The number of NATO planes [with transponders off] is twice as high as that of Russian planes,” Putin said, pledging to raise the issue at the upcoming Russia-NATO Council meeting. Earlier, Putin said Moscow would have to think about “neutralizing developing threats to Russia’s security” stemming from NATO, referring to a radar station that has recently come online in Romania as part of a US anti-missile shield in Europe among other security challenges. “We’ll work very accurately without exceeding the plans to finance the re-equipment of our Army and Navy, which have already been laid out for the next several years,” he said. NATO has repeatedly denied that the new ABM site in Romania could pose threat to Russia, but Moscow considers it to be in violation of the Intermediate-Range Nuclear Forces Treaty, which was signed into force in 1987.